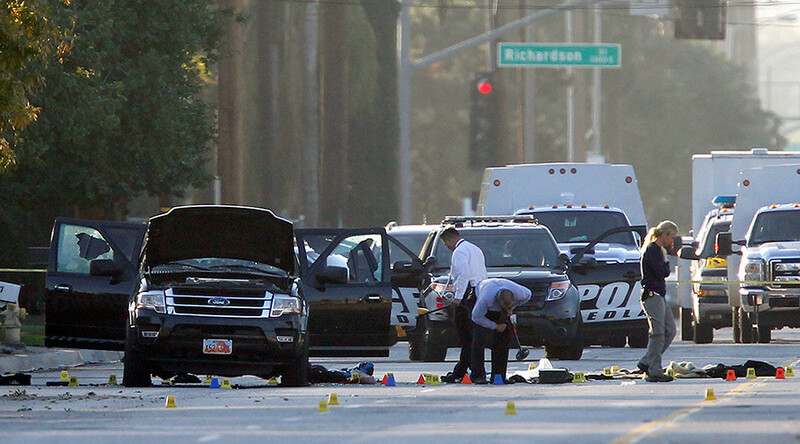 San Bernardino, California shooter Tashfeen Malik is alleged to have expressed support for Islamic jihad in two private messages sent to a group of Pakistani friends on Facebook, according to federal law enforcement officials. FBI agents investigating the mass shooting in San Bernardino are trying to determine whether Malik and her husband, Syed Rizwan Farook, had received direct encouragement, financial support, or instructions from a foreign terrorist organization before carrying out the attacks. Agents announced on Monday that they have discovered several messages sympathetic to jihad that Malik sent to a small group of friends in Pakistan. Two unnamed federal law enforcement officials said she had posted messages on Facebook in 2012 and 2014 “[P]ledging her support for Islamic jihad and saying she hoped to join the fight one day,” the Los Angeles Times reported. Pakistani-born Malik and her American husband are alleged to have been the shooters who carried out a mass shooting massacre at a holiday party attended by many of Farook’s co-workers in San Bernardino. The shooting left 14 people dead and 22 wounded. The couple died in a shoot-out with police after a car chase the same day. Malik’s alleged pledge to jihad would be the latest indication that law enforcement and intelligence agencies missed clues on social media showing that Malik could have been a potential threat before entering the US on a fiancée visa in July 2014. She married Farook a month later. One of the officials characterized the “new” messages as “her private communications…to a small group of friends.” The official added, “it went only to this small group in Pakistan.” The official said they were written in Urdu, an official language in Pakistan, according to the LA Times. The second official said one of Malik’s posts “expressed her desire” to become a jihadist. The FBI said earlier that Malik and Farook had used Facebook to declare joint allegiance to Islamic State (IS, formerly ISIS/ISIL) immediately before the attack, but the post was later removed. FBI divers have just spent several days searching a San Bernardino lake near the couple’s home following up on a report that the couple had been seen near the lake before the shooting. While divers did recover a few items, there was nothing that could be traced back to the couple, officials also said Monday. The FBI believes Malik and Farook had been separately radicalized before they met online. “Our investigation to date shows that they were radicalized before they started courting or dating each other online,” FBI Director James Comey told the Senate Judiciary Committee during a hearing on December 9. “We’re trying to sort out what other contributions there may have been to their motivation. At least in part, we see an ISIL inspiration,” he said. Before Comey’s appearance on Capitol Hill, the FBI had only said that the couple had been radicalized “for some time,” but declined to give more detail about their progression to extremism. “As early as the end of 2013 [they] were talking to each other about jihad and martyrdom before they became engaged and married and were living in the US,” Comey told the senators, adding that investigators did not yet know whether their online courtship had been arranged by any sort of foreign terror organization or if it developed naturally on its own. “It would be a very, very important thing to know,” he said.